Do you have a passion for your community? Are you working to create lasting value in your city, town or parish? Do you have ideas to share, or a desire to learn from others with similar interests? 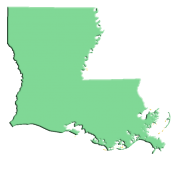 If so, you are invited to join the American Planning Association, Louisiana Chapter. APA-LA is a not-for-profit professional organization which unites practicing professionals, public servants, academics, and students in an exchange of innovative ideas, a bond to ethical conduct, and a commitment to never stop learning. In addition to professional development, our friendly members offer local insights, practical knowledge, and - when we get together - food and fun! APA has made revisions to its membership dues structure, and now offers low rates for new members, free membership for students and heavy discounts to retired or life members. Learn more at www.planning.org/join/dues . Or contact our V-P of Membership Jennifer David, AICP for assistance.